20th Century Fox has added another X-Men spinoff movie to its upcoming slate, with Deadline revealing that James Franco is set to take on the role of Jamie Madrox in a Multiple Man film. Allan Heinberg (Wonder Woman) is penning the script, while Franco will produce alongside X-Men veteran Simon Kinberg. Multiple Man was created by Len Wein and first appeared in Giant-Size Fantastic Four #4 back in 1975. He is a mutant who has the ability to create “dupes” – perfect replicas of himself – and absorb them back into himself, gaining their memories, knowledge and skills. Jamie Madrox appeared as a villain in X-Men: The Last Stand, where he was portrayed by Eric Dane. 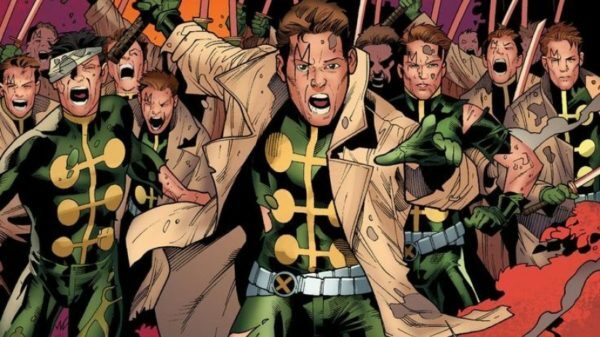 There had been talk previously that Fox was looking to develop the character for an X-Factor TV series, while it was also rumoured that Multiple Man would feature as a character in the Channing Tatum-headlined Gambit – a report which seems to be wide of the mark given this latest news.